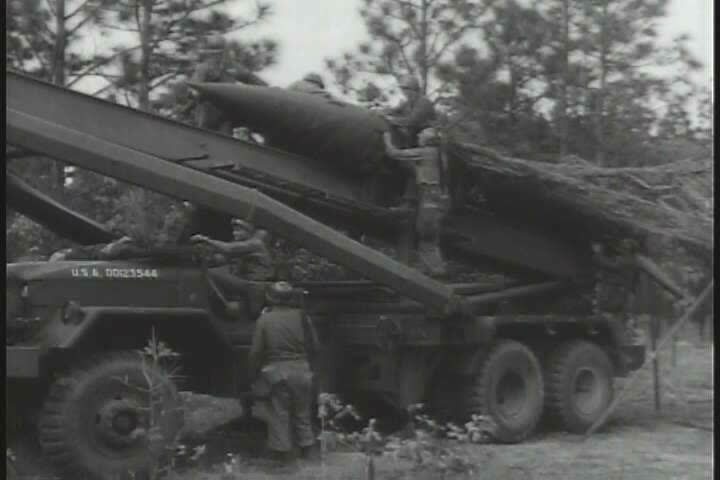 sd02:17CIRCA 1950s - Soldiers make a missile ready to be fired at a target in 1954. A man interviews a lieutenant on the front. hd00:09Young beautiful girl shakes up the pump with the wheel of the car on a country road in winter. Is snow, snowstorm.